1. Zvezda have released a new kit of the Kamov Ka-50 in 1:72 scale. Although it is numbered #7216, this is NOT the re-box of the Italeri kit that has up until now appeared under the Zvezda label, also numbered #7216. Just to add to the confusion even further, the boxes containing the new kit and the Italeri re-box are currently identical. The only way to find out what you are getting is to look inside. I understand that new boxes will be introduced in February. HKN's Moscow correspondent tells us that this is clearly the best helicopter model kit yet to be produced in Russia, and among the best available anywhere. 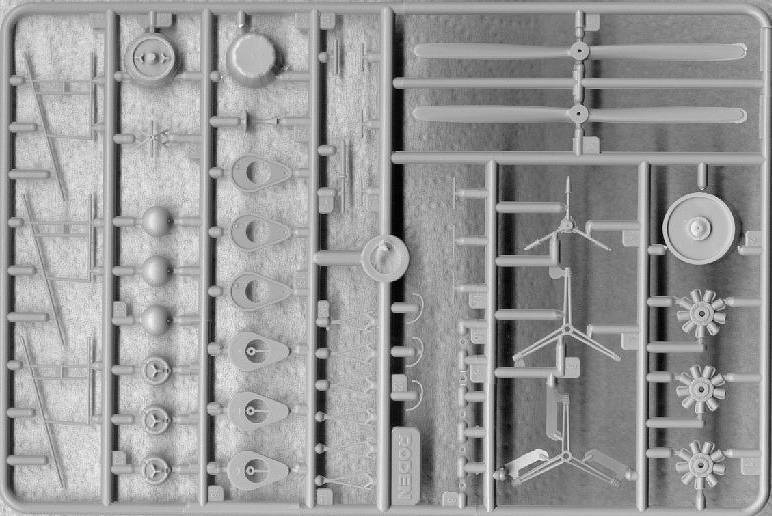 You get four sprues moulded in black/grey plastic (133 parts) and one (6 parts) clear. However, the FFAR pods were taken from the Ka-29 kit and have an incorrect number of rocket tubes. 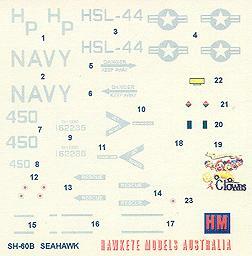 The decal sheet is unchanged. 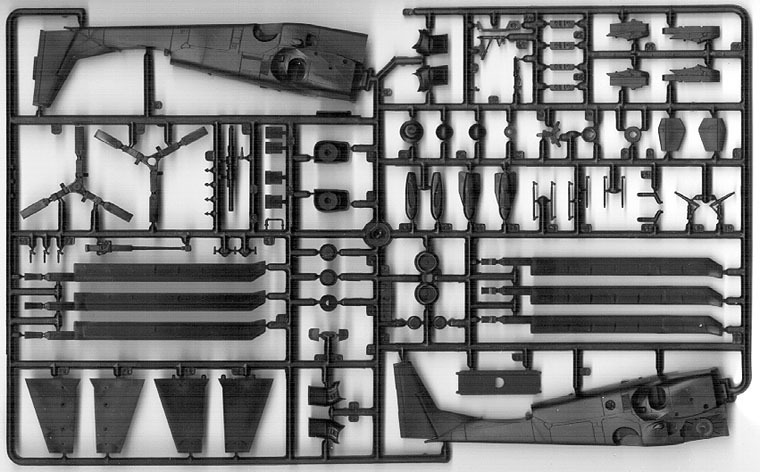 There is also a Ka-52 version of this kit scheduled for release in 2002, #7224. 2. The 1:35 Navigator resin kit of the Mil Mi-24 Hind-E (see HKN #129) is now available for a cool US$190 from Aviapress. When the first example of this kit was seen in Moscow in August last year, the cockpits were detailed but there was no interior to speak of. Worst of all, although the kit had nice canopy frames, there were no clear parts. Given the complex shape of the two bubble canopies, it would take an expert to create these at home. They may have changed the specs of the kit in the meantime but I somehow doubt it. 4. Fonderie Miniature have released their 1:48 Sikorsky R5/HO3S-1, #6012. This is injection moulded with etched brass & white metal parts. There are markings for the USN, USMC & French Navy. I hope to have a review of this it in the next issue of HKN. 5. Italeri have just released their 1:48 MH-60G Pave Hawk #2612. Initial reports on Hyperscale suggest that this is a new moulding unrelated to the existing Academy / Minicraft H-60 kits, but they do not mention a possible relationship to the old Revell HH-60D. New items still appear to be as listed in HKN #135. The 1:72 EH-101 RN Merlin HM.1 #1219, due for release Jan-02, will have decals for a machine assigned to HMS Northumberland, and will feature folding main rotor blades. 1:72 AS.532 Cougar/Super Puma #4472 due Jan 2002. The artwork now displayed at the Revell website suggests a green and brown camouflaged ALAT machine similar to one of the options in the original Italeri release #096. 1:72 Dauphin SA365 #4467 also due Feb 2002, with decals for the USCG (Test Pilot School) and a French version. This is of course the old Matchbox Dauphin kit. It remains to be seen whether any of the changes required to make a true HH-65 Dolphin will have been added to the kit, but I doubt they will be. Is this 'Test Pilot School' option a regular SA365 Dauphin used for training before the Dolphins were delivered? We shall see. 1:48 MH-60K Blackhawk, presumably related to the Italeri Pave Hawk released this week, whose origin is as yet unclear. 1:48 CH-53GS (KWS). A very welcome re-release of the popular 1:48 Super Jolly Green Giant (especially for those of you who have been searching for second-hand kits to convert into Pave Lows using the recent Cobra Company conversion set). 1:32 EC-135 Polizei Mecklenburg Vorpommern markings, yet another version of this much-released kit. Final confirmation of the release schedules of these and a number of other European manufacturers will become available during the Nurnberg Spielwarenmesse (Toy Fair), which starts Jan 31st. 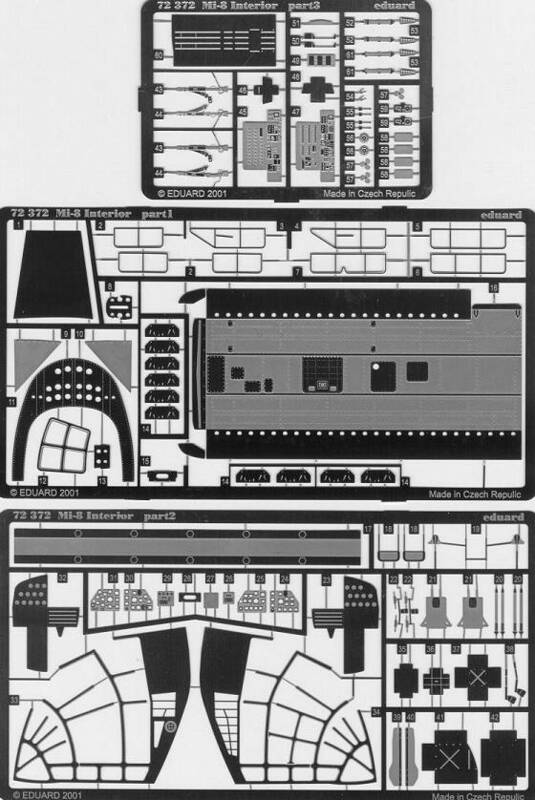 Also planned are 30 decal sets and 25 smaller conversions/accessories, many of which will probably be helicopter subjects. Due to the "unbelievable" response to their decal and conversion range, Model Alliance are now looking for a UK-based person to help with moulds and masters for some of the conversion sets. Model Alliance are also urgently looking for more resources to help produce decal-ready artwork on UK subjects, to include Sea King HC.4, Sea King AEW with D-Day stripes, current Puma's, Wessex's, and a few NATO helicopters. 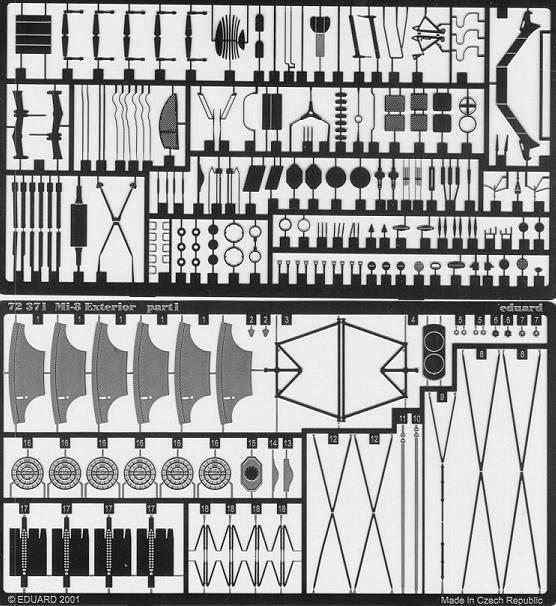 #DS-047 is the latest Model Alliance 1:72 decal sheet. 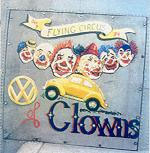 This is for a USN SH-60B from HSL-44 'Swamp Foxes', the aircraft being 162235 / 450 / HP which appeared at the D-Day 50th Anniversary commemoration at Portsmouth UK in 1994 wearing 'Clowns' artwork on the port side cabin door. "The Austro-Hungarian PKZ-2 (Petrosczy-Karman-Zurovec) was a tethered observation helicopter trialled during the later years of World War One. Although the helicopter had made many successful flights and development was apparently proceeding reasonably well an incident during an official inspection caused by overworked engines resulted in the helicopter being deemed too dangerous to develop further. The Roden kit is entirely injection moulded and the parts are well detailed and virtually flash free. On my example one of the radial engines has a slight sink mark on the casing but it is not very noticeable and fortunately the finned cylinders are not affected. 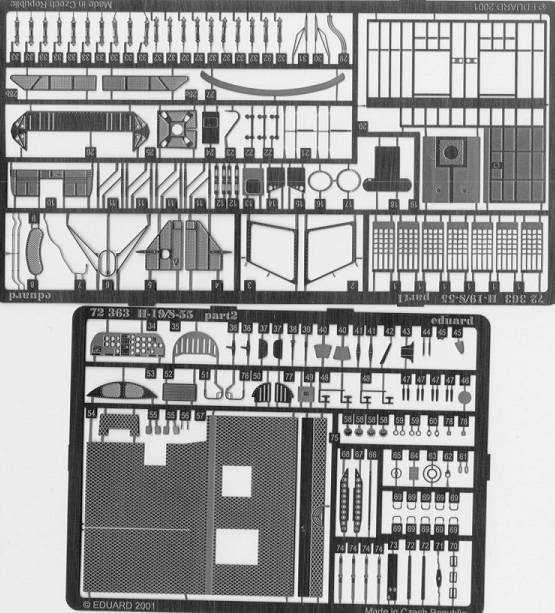 I imagine the hardest part of construction will be to ensure that the many pieces along the central axis, from the landing balloon up through to the crew compartment are aligned correctly, given a lack of positive locating aids on most of these parts. If construction proves too small a challenge, you could always make an attempt at rigging your model to represent the abundance of wires present on the real subject. The small black and white decal sheet contains two crosses for the crew 'compartment' and a name plate for the, imitation wood-grain base supplied. The decals are sharply printed and in register. As far as accuracy is concerned I can't imagine anyone being justifiably unhappy with this kit. I am hesitant to point out areas of contention because I do not wish to put anyone off buying what is a sharply moulded kit of an unusual and interesting subject. To be quite honest the relative size, shape and spacing of many of the parts is not quite right when compared to a photo of the real thing but when it's all together I think the overall look is acceptable. Any attempt to change the shape or position of parts has consequences for the remainder of the model and it is probably all best left as it is. The only area I intend to alter is the main inflatable 'landing ball' which I feel could have been a better representation of the real item. Incidentally, I would think it unlikely that this aircraft would have balanced upright on its central 'ball' when at rest and would more likely have leant over to come to rest on two of its outriggers as well. I suppose it makes a more appealing model when standing upright. The only measurement I have available is for the rotor diameter, which was about six meters. The kit blades scale out to be just a fraction under the six. A (possibly manipulated) picture of a finished model can be viewed at the Roden web site, so you can judge for yourself." 9. A review of the Kangnam (also known as ARII & IMEX) 1:35 Apache appears at Perth Military Modelling Society. 10. The first build-up on the net of Hasegawa's 1:48 Apache Longbow #07233/PT23 has appeared at Rocky Mountain Model Club. Note that Hasagawa's website now has an English language option, and includes a questionnaire on which you can suggest subjects for new kits. February's new releases include #07224/PT24, the 1:48 AH-64A Apache. 11. The recently released Eduard etched brass detail sets (#72-371 - exterior & 72-372 - interior) for the KP (KoPro/Mastercraft) Mil Mi-8/17 kits look like being their best ever release. 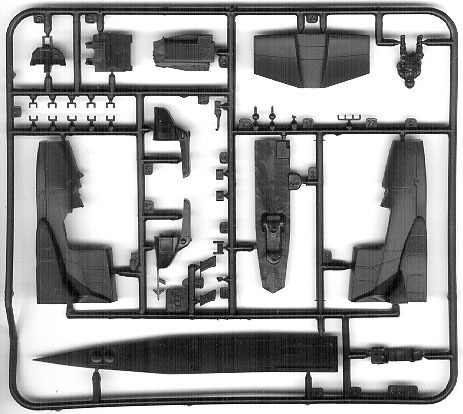 Another recent Eduard release, # 72-363 for the Italeri and Revell S-55/H-19 kits, includes parts for the cockpit as usual - seat belts, rudder pedals, instrument panel (with acetate sheet), as well as the engine sound-proofing mats. There are parts to dress up the engine bay/oil cooler area (but nothing to improve the appearance of the token "engine") very nice grilles for the top and sides of the of the nose, and a strip for the air deflector behind the nose air grille. There are two options for the troop cabin, bare framing or soundproof mats, both parts are to be rolled at the top to make a 'ceiling'. There are also seat webbing parts, a new winch mounting frame, and more bits of soundproofing. Eduard are currently working on a detail set for the 1:48 Hasegawa Apaches. This will be one of the first releases in their new line of pre-coloured photoetch sets. 12. Santa Cruz Decals from Portugal have issued decal sheet #SC72.14 for the Heller Alouette III. This appears to have markings for Portuguese AF machines in UN (552 Sqn in East Timor, Feb-00 to Jan-01) and regular (green) schemes. 13. Linden Hill in the USA are now stocking Whirlybird decals (see HKN #132). 14. Classic Publications will be releasing Stephen Coates' forthcoming book 'Helicopters of the Third Reich' sometime around April. This represents some 15 to 20 years of dedicated research, and will be welcomed by all of us with an interest in early German rotorcraft. The book should contain something like 500 photographs, of which about 60-70% will have been previously unpublished. Biographies are given of many of the leading players as well as the German pilots who flew them. Quite a substantial amount of previously unpublished material surfaced during Steve's researches and this combined with a number of interviews he conducted will form the backbone of the book. Additionally, the book will contain a lot of line work which should help it appeal to the modeller. Arthur Bentley's drawings of the Fa 223 and the Fl 282 will quickly come to be recognised as the definitive 3-views for these types. Detailed appendices will be provided giving much additional information, including a table of all the major prototypes, giving as far as possible first flight dates and ultimate fates. Although this book is currently being listed for pre-order by Amazon, I am assured that orders placed directly with Classic Publications will receive a 10% discount. Anyone interested should e-mail Classic with their name and address, credit card number and expiry date. Your credit card will not be debited until the transaction is completed. At this moment in time the price will be about GBP 39.95, although this may be revised slightly before release and not necessarily upwards. 15. Fanakit has been updated with two new walkarounds covering the German Lynx Mk.44 and the French Lynx Mk.4. Thanks to Yevgeny Borissov, Tim Vereecke, Gary Madgwick, Ivan Brocot, Adam Cooper, Terry Ashley, Steve Coates, Guy Holdroyd, Bruce Mackie, Tony Morgan, Drew Graham, and Fabrice Fanton.